Don’t fall behind on maintenance. Summer vacation is a fantastic way to recharge and prepare yourself for the following year. While you’re spending time outside and taking a break be sure to keep up with your instrument to set yourself up for a strong start to the next year. 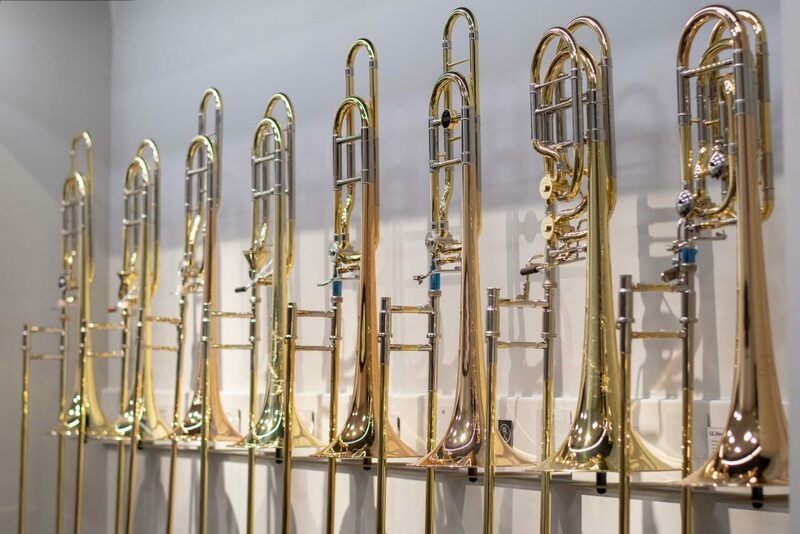 Here are some helpful tips to keep in mind this summer that will keep your instrument, abilities, and interests in top shape. Graduation typically means ordering an over-priced cap and gown, long ceremonies with longer speeches, open house celebrations, and more pictures than you may ever want to take. 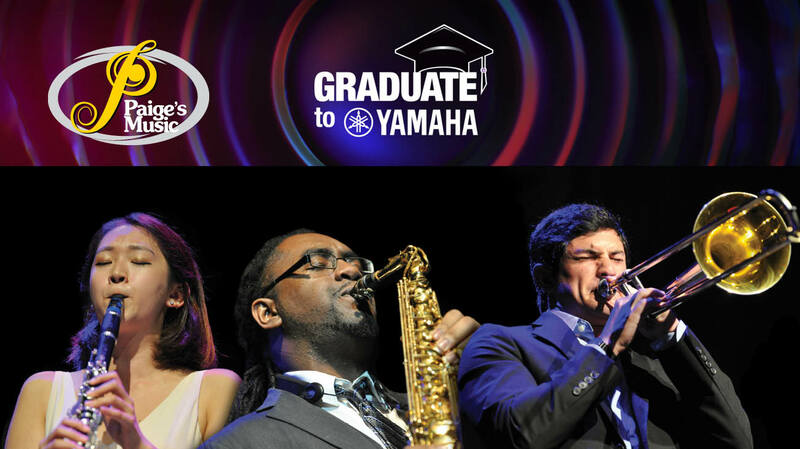 Thankfully musicians can enjoy a more pertinent graduation in the form of the Graduate to Yamaha promotion! Finding your next instrument can be a daunting task if you don’t have a game plan. The market is filled with a plethora of options, and sometimes it can be difficult to see the forest through the trees.From my time at Paige’s Music and my experience as a player, I can provide my thought process, and hopefully it will help with your future instrument selection. Start by playing on your instrument. Always, always, always limit the variables. Bring your current instrument and mouthpiece as well as familiar music. Warm up on your instrument and take note of how it sounds in the space around you. You need to have a control for the experiment, and your current instrument will provide that. Take out uncertainties like unfamiliar music, unfamiliar mouthpieces, and etc. Paige’s Music has been the one-stop shop all things band and orchestra in central Indiana since 1871 and we are constantly looking to improve our service and product offerings. 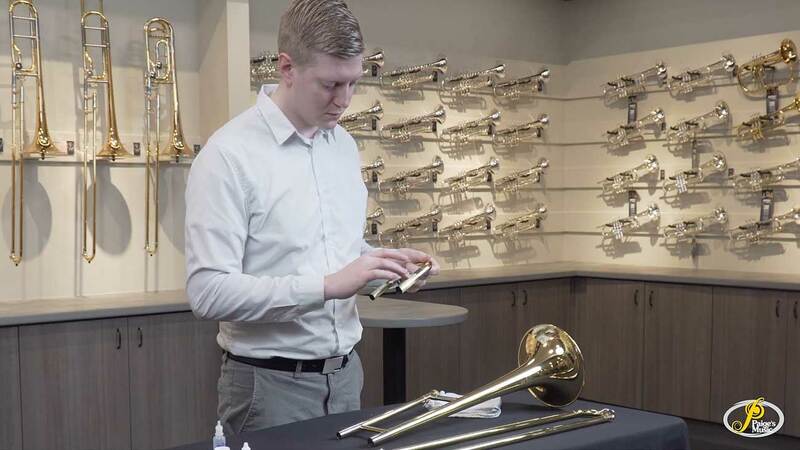 The newest addition to our Indianapolis location is a brass mouthpiece display featuring more than 60 mouthpieces specifically chosen by our brass specialists, Ross Werner and Tucker Woerner based on their knowledge and input from local teachers and professionals. 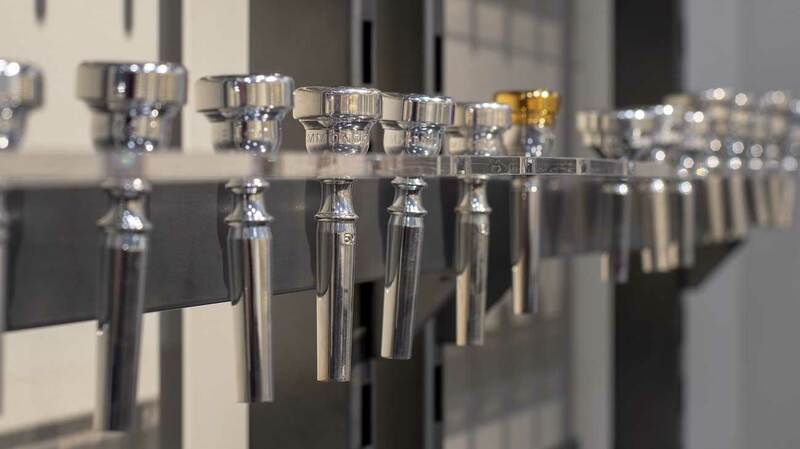 Anyone who visits our store will be able to try any and all of these mouthpieces in the pursuit of perfecting their sound. 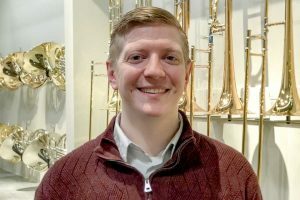 My name is Tucker Woerner, and I am the new Low Brass Specialist at Paige’s Music. I have worked at Paige’s for about a year and a half, but I was a Paige’s customer since I started playing the trombone at Eastwood MS in 6th grade. While attending North Central HS I was encouraged by my orchestra director, Craig Ghormley, to consider pursuing music as a career. Along with his help and the guidance of my private teacher, Carl Hungerford, I successfully entered the Indianapolis Symphony Orchestra Side-by-Side program. While in the Side-by-Side program I met Jared Rodin, and I went on to study with him at Butler University. After completing my BA in Music in 2015 I went to the Jacobs School of Music at Indiana University and completed my MM in Trombone Performance with an outside area in Historical Performance. My primary teachers have been M. Dee Stewart, Jared Rodin, Linda Pearse, and Carl Hungerford. In addition to working at Paige’s Music I teach private music lessons and play my horns as much as my schedule permits. I’m always interested to hear what music you enjoy and why. As the old adage goes, “there are only two kinds of music: good and bad.” Please feel free to contact me at any time with questions regarding instruments, mouthpieces, accessories, or any other questions related to your instrument and the music you seek to make. I am always excited to hear what new things you might like to see us carry and what concerts and events are going on in our community.